This section of the website aims to provide links to some of the avenues to explore if you are looking for research funding, but we cannot begin to identify all the subject, School or Department specific opportunities which may emerge. Some of the University's Centres & Institutes and Strategic Research Intitiatives and Networks also supply updates about relevant opportunities to their members and contacts, either through websites or newsletters. Please contact the appropriate Administrator or Co-ordinator in order to find out more about what additional sources of information may be available. The Research Professional funding opportunities database offers researchers the opportunity to search for research funding in all disciplines from a wide range of sponsors in the UK and overseas. All funding information in the database is pre-screened for eligibility for UK researchers. The University of Cambridge subscribes to Research Professional services and use is therefore free of charge for all University members. Access is determined by IP range, so any member of the University can access the full Insititutional version of the site from any device within the University Network. However in order to save searches, share results, set up email alerts, create bookmarks or magazines, or indeed access the site from a non-University location you will need to set up a free personal account by clicking Register at the top right of any page of the Research Professional website, while you are connected to the University Network. Research Professional provides an extensive Help section for users, which also offers search tips and suggestions. Dimensions for Universities is a web-based tool, shortly to be integrated with Symplectic, which has been designed to help universities and academics to analyse and understand the funding landscape. Collecting, de-duplicating, disambiguating and categorising grant data from a growing list of funding bodies, Dimensions provides a range of both simple and advanced search options, including a semantic search based on an abstract or other paragraph of text, to help academics to find others in their field; an institution to compare itself to another, or a department to respond to a query about past or present funding in particular areas. The Research Operations Office provides a substantial amount of information on its website designed to assist all those involved in securing and administering sponsored research funding. 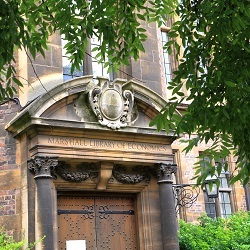 This includes a section about Finding Funding and Partners; advice and information about Applying for Funding; information about European Funding, a list of major UK and overseas Sponsors of research at the University with links to their funding opportunties web pages and contact information for all the relevant teams. Restricted calls are calls in which the sponsor/funder requires the University to coordinate and/or preselect the applications that can be submitted for consideration. Typically these are calls where the number of applications an institution can submit or the number of awards the sponsor will make is limited. The sponsor may also have other requirements, for example that the institution ensures there is no overlap between proposals submitted to the same call. Some calls also request that the applications include a support letter signed by the Vice-Chancellor or the Pro-Vice-Chancellor for Research. A number of internal calls for funding and research funds awarded directly to the University are also coordinated by the Research Strategy Office. These calls are interdisciplinary in nature, for subject-specific funding please refer to Departmental and School websites. Click here for links to information on active internal funding opportunities that are administered by the RSO.